Yesterday there was a storm. Right before it hit, I heard quacking sounds. I opened my door and saw these guys just chilling. 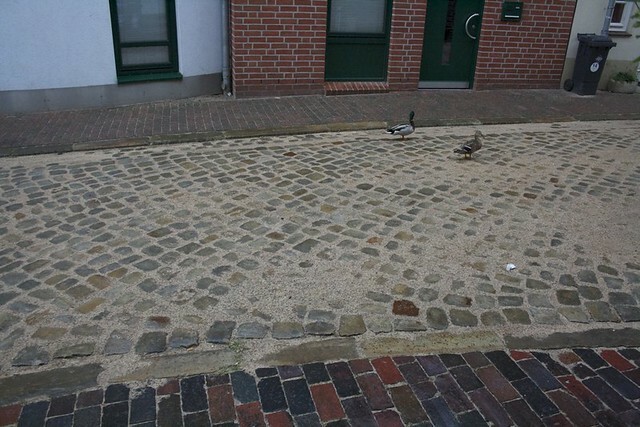 The river is about 50m away from my door, but I have never seen ducks come this far up the street. Then the storm came and they just walking up the street away from the river. Other than that, this post is pointless.